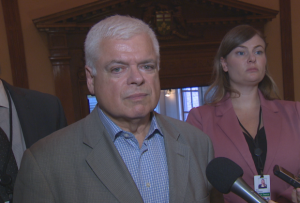 Ontario is considering a plan to urgently transform a mothballed hospital site in Toronto into a temporary source of beds as a result of overcrowded hospital wards, the province’s health minister confirmed Wednesday. 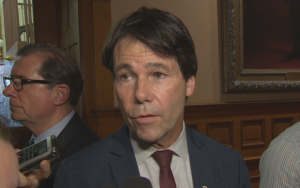 This comes as the umbrella group representing the province’s hospitals predicts a capacity crisis across Ontario unless urgent action is taken before the winter flu season. 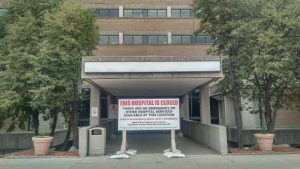 The Humber River Regional’s old Finch Avenue building was closed in 2015 when a new hospital was built. It would be used as an intermediate-care facility, and would accept patients who are occupying beds in Toronto-area hospitals while waiting for some other form of care, such as a nursing home or rehab bed. “In the spring budget, we allocated $24 million to look at how we could provide better, higher-quality support to individuals — many of them seniors who are currently in hospital,” Hoskins said. “It will ready many of them for going home, and going home in a better state,” he said. “Will the premier explain how a facility that wasn’t good enough for patients two years ago will be good enough for vulnerable seniors now?” Tabuns asked. Nearly 3,000 beds in Ontario hospitals (about 16 per cent of the total) are currently occupied by “alternate level of care” patients: they do not need to be in acute care, and have been officially discharged, but remain in hospital because the actual level of care they need is not available. 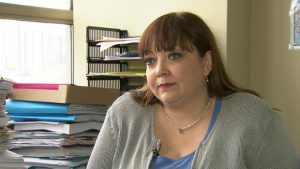 “There just simply isn’t enough capacity to deal with the existing patients, let alone a winter surge,” said Natalie Mehra, executive director of the Ontario Health Coalition, whose members include health-care unions and patient advocacy groups. “Conditions strongly suggest that the health-care system faces a real capacity crisis this winter without further action,” said Ontario Hospital Association president Anthony Dale in a statement earlier this month. A woman suffering internal bleeding spent five days in a hallwayat Brampton Civic Hospital. 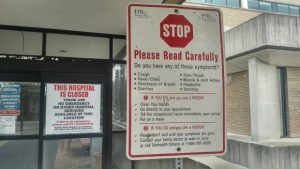 “Ontario has cut hospital beds to a point that is unsustainable,” said Mehra in an interview Monday with CBC News. There are about 2.4 beds for every 1,000 people in the province, fewer than the Canadian average and fewer than nearly every other Western country with socialized medicine, according to these figures from the Organization for Economic Co-operation and Development. “The root of today’s capacity challenge is that far too many frail elderly patients can’t get access to the care they really need outside the hospital setting,” said Dale in his statement. Ontario’s auditor general has also warned that too many patients who should be in long-term care are unnecessarily occupying hospital beds.